There is no shortage of financial advice available and while most of it is solid, some of it is not. Which advice is right for you? We offer personalized investment advice tailored to help you meet your financial goals. It is a dynamic formula – determine your financial objectives, identify your risk tolerance, and construct a globally diversified portfolio. 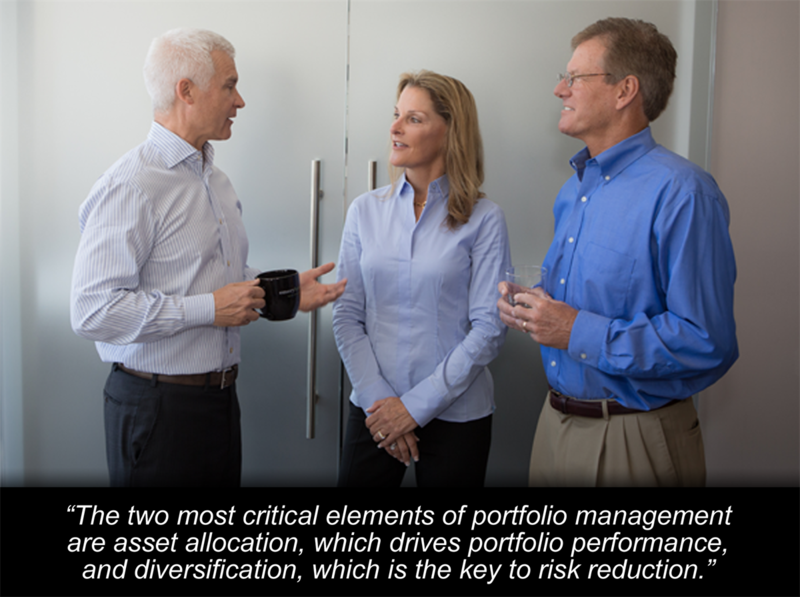 We focus on strategic asset allocation for our clients: optimizing portfolios based on global diversification, return expectations, and complementing asset classes. Your portfolio will be constructed around equity and fixed income investments utilizing exchange traded funds (ETFs), institutional class mutual funds, and individual bonds. We continually monitor, review and rebalance your portfolio to make sure you are on target. To keep you informed, we provide quarterly portfolio reports, economic investment analysis, and expert commentary.